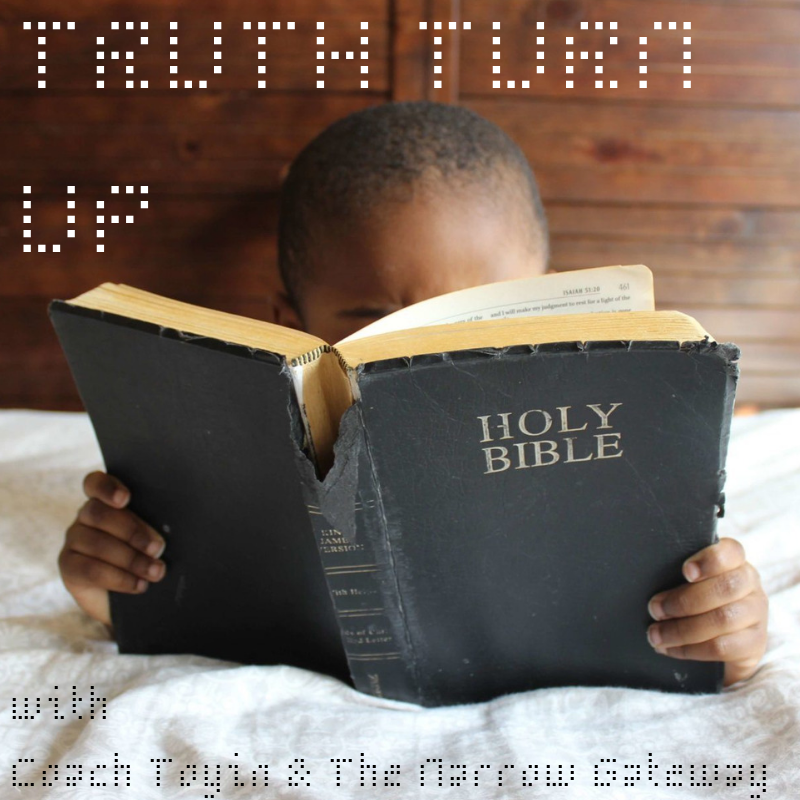 Your Mid-Week Truth Turn Up is a 'meaty' devotional that can re-centre your heart on Jesus as you go along in your week. 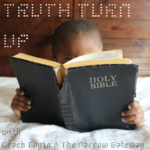 The devotional is slightly lengthier than a daily devotional and that is because I post them only once a week and they are meant to be your repeat meditation for the next 7 days till you receive the next Truth Turn Up. My tip is therefore that as your week goes on, you visit and re-visit your Mid-Week Truth Turn up and meditate on the Bible Meditation passage, my write up as well as the Further Study at the bottom of the devotional. Take the whole week to meditate on it and get it into your spirit. Do not try to compress the whole devotional into one reading. What a song! Take me to the King. Take me into the Presence of the Most High; the Lord, God Almighty. Take me into the secret place where He dwells and from where the One who they call, ‘Mighty to Save’ calls my name, and beckons me to draw nearer. Take me to the King. Well, I have a question for you. What if your wish came true? 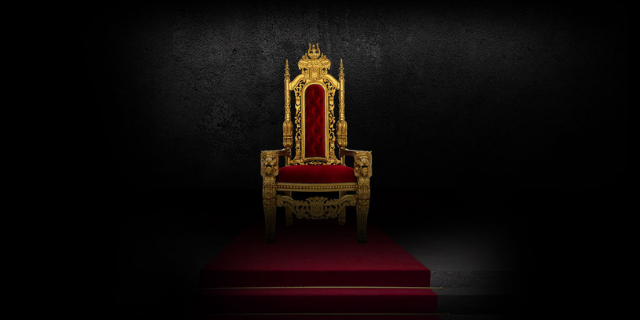 What if ‘they’ did take you to the King? What would you do? What would you say? What would burst out of your soul, through your quivering lips, to the Almighty God? Would you stand in His presence? Would you crumble to your knees? Would you shield your eyes from the brilliant light streaming from His face? Would you fall face down in worship? Would you cry, “Holy! Holy! Holy!” in humble awe of His Majesty? Or would you try to hide away from Him like Adam and Eve did when they had sinned and they believed the lie that their sin left them with only one option – hide away from God in shame? I am learning that there is nothing worth more, nothing could ever come close, nothing could compare, to drawing close to and living from the presence of the King. This is the power seat. Everything about life, love, faith, purpose, eternity, destiny, glory, greatness, worshipping God in spirit and in truth … you name it; everything flows from that place – the presence of the King. A few months ago, I had had a tough week and I had missed the mark a few times when it comes to the meditations of my mind. In plain English, that week, I had allowed my mind to dwell on thoughts that I knew displeased God and clouded my experience of Him. Later that week, I was keen to go to Prayer Meeting at church but of course, the devil was quick to start humming accusations into my ears, telling me that I had no business going into the presence of the King because I had had such a messy week. Something in my spirit rose up and I determined that nothing, absolutely nothing, would keep me from at least approaching the presence of God. And so I went to Prayer Meeting, and even when I arrived, the barrage continued. The enemy was not about to let me approach the Lord without a fight. And si the battle raged in my mind. But victory was mine because soon, the Holy Spirit started speaking to my spirit and helping me to understand that there must be something about being in the presence of the King, that makes the enemy so frantic to keep me from pressing in. Then the Holy Spirit started instructing me to approach the Lord, boldly, humbly, genuinely repentant for the choices I had made that week. I obeyed, and approached with repentance. As I did this, I immediately felt relief, I felt strengthened. Joy began to rise in my heart. Then the Holy Spirit instructed me to rebuke the enemy for his lies and accusations that were arrows aimed at preventing me from pressing into God’s presence. I obeyed gladly, a righteous anger welling up inside me at the enemy who was so crafty in trying to keep me from the King. Then the Spirit of God invited me to come closer to His throne in worship, and I did. Ah… and I found His presence to be real, and tangible, and oh so sweet. And from my place of worship, the Lord spoke to my spirit again and called me by names that I am known by in His presence. And then He instructed me to stand beside His throne, turn and survey all that He rules, and join Him daily, to establish His kingdom in the hearts of men (which, by the way, is what the Lord has called each of us to do with and for Him, as soon as we come to believe in Him). The Lord instructed me to live and do life from my place in His presence, because this is indeed the power seat. I have goosebumps just writing this. “Take me to the King. I don’t have much to bring. My heart is torn in pieces, its my offering.” So what if ‘they’ did take you to the King? What would you do? What would you say? How would it change your life? How would it echo in eternity? The time for us to wander into church once a week, sing pretty songs that pull on our heartstrings, and then wander back out to carry on with ‘real life’ is gone. These are times to draw near to the King and remain in His presence, living and doing life from there. My prayer for you today is that every single day of your life, will be lived from your place in the presence of the King. My prayer is that you will refuse all lies and distractions that the enemy levels at you to prevent you from making your way to the throne of God. My prayer is that you will come to the Lord, daily, habitually, intentionally, in genuine repentance and heart-felt worship, and that from there, you will discover and step into who you are, in the Presence of the King. And when you discover who you are in His presence, I pray that you will rise to resist the enemy’s work in your life and in the lives of those who God has committed to your hands, and you will go about working the works that God planned for you to do in this life – establishing His kingdom on earth as it is in heaven. Lord Jesus, I come, I come. Here I am. I want to live in and from Your presence, daily, sincerely, habitually. I want to love You, not from afar, but from my place in the secret place of the Most High. I want to resist any and every attempt of the enemy to block me from drawing close to You. And as I draw close, I want to experience You as the real and life-altering One who You are. Oh Lamb of God, I come. I come. Drawing near to God’s presence and living from your place in what the Bible calls, ‘the secret place of the Most High’ may sound like hocus pocus to you if you have never experienced it as real. Well, God is real. His presence, which is basically the tangible experience of Him being right there with you, is real. If you struggle to experience God in this way, it is likely because your soul is filled with distractions and/or sin, and you are not daily, habitually, genuinely and intentionally drawing near to the Lord, through the means He has made available to us, that is, meaningful prayer, study of God’s Word, Meditating on His Word and listening for His voice, setting your heart on Him in worship (this often happens when you sing so-called ‘worship songs’), and fasting. 1) Daily pray the prayer I shared with you above. Do it meaningfully and from your heart. 2) Daily and consciously stay aware of the ways the enemy is trying to keep you from drawing near to the King (usually he does this by tempting you to sin or by keeping you distracted and busy, and then he tops it all off with accusation and condemnation). When you do mess up, don’t dawdle. Run to the One who invites you to come boldly to the throne of grace to obtain mercy and find grace to help you in your time of need. Write back to me on toyin@thenarrowgateway.com and let me know how it goes. My prayer and strong faith is that as you draw near to the King, you will begin to experience Him as He is, you will discover who He has created you to be and you will rise and live from your place in His presence. I am Toyin, fully convicted by my own words and very much still under construction in the hands of the Father.